When somebody does something wrong at work, most employers use punishment in response to the undesired behavior. By using punishment, they hope to stop the undesired behavior and guide them to act in a more appropriate way. For many people the use of punishment is an innate response stemming all the way back from childhood. For instance, when a child misbehaves a parent will often respond in punishment by either taking away an item of importance such as a toy, or by having the child participate in a time out, or even by having them do a specific chore. Many people are just simply wired to respond to non-compliance with punishment. Just as punishment is alive and well in the general society and the home lives of many, it is also commonly practiced within the workplace. However, there is one distinct difference. When punishment is used within the workplace, it is almost always linked to a situation involving safety. Safety is an essential and important component to nearly any business endeavor, and when safety practices are not followed it puts everyone at risk. However, is punishment the right response to create compliance? Some may say yes, but there is quite a wide following of people who sternly say no. When you think about punishment, what is its purpose? When a punishment is elicited, we often hope to stop a specific behavior and start a more desired behavior. But the question here is: will punishment start a positive behavior? Usually not. Just think about it, if someone is punished for doing something wrong, why would a punishment get them to do something right? 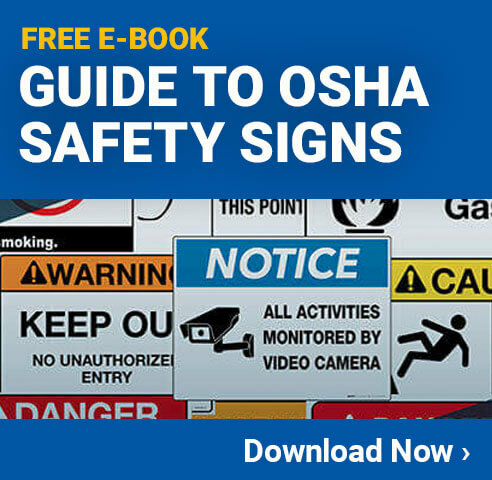 Safety compliance is built through education, training, and positive reinforcement. Accidents involving safety can often be divided into two different categories: intentional and unintentional. An intentional avoidance of safety procedures and practices can usually be rectified using punishment because you want that person to stop doing something. For example, if an employee purposefully removed a safety guard on a machine or purposely entered an off-limits area with intent to ignore safety guidelines, a punishment may be appropriate. However, unintentional accidents should not elicit punishment as the person was not intentionally disregarding or ignoring safety guidelines. Unintentional safety mishaps should be treated as more of a training opportunity in disguise than an opportunity for discipline. Even seasoned employees who have spent years on the job sometimes forget or overlook a specific safety practice by pure accident. For the most part, employees do have good intentions when it comes to safety. While on the job, employees are a team and the mentality of having safe days at work is often shared by all staff members. Let’s face it, everyone wants to go home unharmed and still in good health at the end of the work day. Safety is truly a group effort and should be treated as such during safety trainings and informational meetings. Never underestimate the power of an effective safety compliance program. Next post Who Manages Safety?